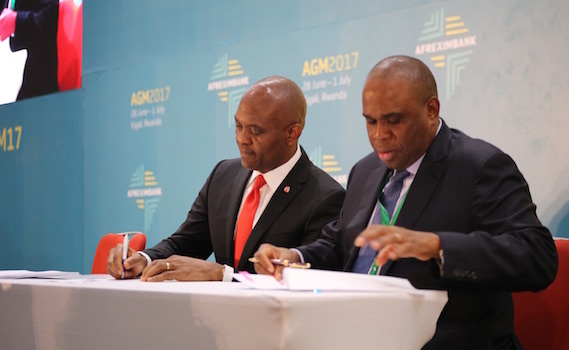 Last week in Kigali, Rwanda, $1.11 billion was signed in form of financing by Afrexim Bank to billionaire Aliko Dangote, Tony Elumelu and the Rwanda Development Bank during Afrexim Bank’s 24th Annual General Meeting. Finance Minister Claver Gatete was elected Chairman of the Annual General Meeting of Shareholders. The bank also accepted to extend $500m to finance development projects. Notably, the bank was one of the financiers of the Kigali Convention Center to a tune of $155m. During the conference, several topics were discussed under the theme: Transforming Africa’s Trade. Our photographer Natasha Batamuriza captured some moments during the conference. Delegates arriving at the Kigali Convention Center for the AGM 2017. One of the plenary session talking about “Industrialising for growth and export diversification: Lessons from successful economies”. Minister Claver Gatete officially opening the conference. Afrexim Bank’s Chief Economist Dr. Hippolyte Fofack shared views on the bank’s investment philosophy and Africa’s trade structures. He said trade restrictive measures increased to 2,228 in 2016 from 462 in 2010 and 57% of them are set by G20 economies. Dr. Kuen Lee, Professor of Economics at the University of Seoul, Korea, lectured about success stories on industrialisation for growth and export diversification. M Helen Hai, Goodwill Ambassador and CEO, Made in Africa Initiative. 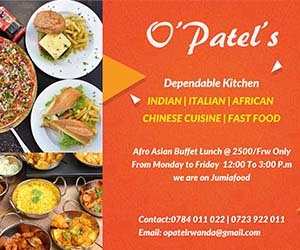 She has invested in a textile factory in Rwanda and currently exports high end clothes from Rwanda to global stores especially European stores. After a stressful day, participants would be treated with entertainment. After the AGM meeting, business executives were invited to a side meeting where Ecobank Group CEO, had invited to discuss Ecobank’s contribution to Africa’s Economic Integration.